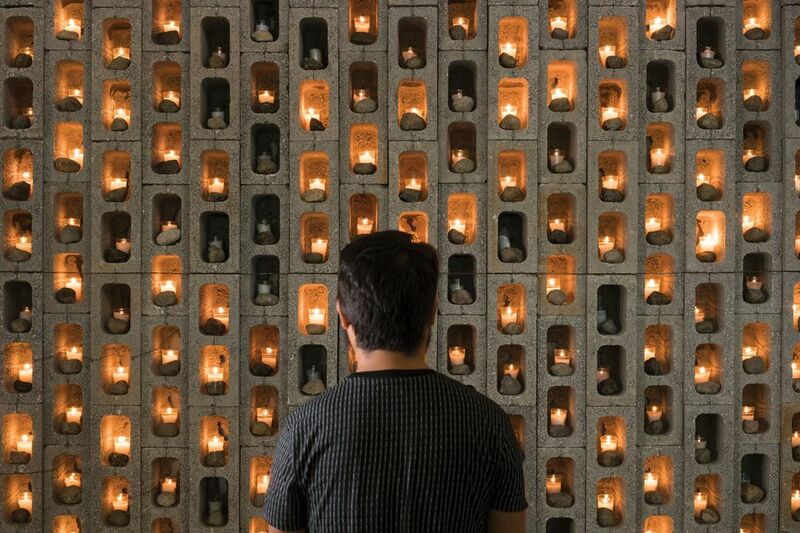 The Nicaraguan artist and architect Marcos Agudelo has created a powerful memorial wall for the 448 civilians killed since mass civil unrest struck the country in April. “My piece honours the people murdered by Nicaragua’s current dictatorship,” Agudelo says, referring to the leftist government led by President Daniel Ortega since 2007. Unrest began after security forces cracked down on anti-government protesters who opposed Ortega’s planned social-security cuts. “These protests have the support of the Nicaraguan people and were led primarily by student groups and farmer’s associations,” Agudelo says. The demonstrations broadened to include a call for early elections and a demand for Ortega, who also served as a junta leader and president during the 1970s and 80s, and his wife Rosario Murillo, who is the country’s vice-president, to resign. More than 400 people have been killed and 2,000 injured in the ensuing street fights, according to the Nicaraguan Pro-Human Rights Association. Ortega has denied any responsibility for the deaths and accuses those seeking his exit of being terrorists and coup plotters. Agudelo’s work, No One Knows the Past that Awaits Them: 448 Barricades (2018), turns prosaic materials—concrete blocks, stones and candles—into a temporary wailing wall for the victims of the political violence. “One characteristic of these acts of civil disobedience was the many barricades placed at intersections throughout Nicaragua’s cities,” the artist says. “The barricade I have built gives shape to the magnitude of the killing without forgetting a single sacred life.” The continuing conflict prevented him from presenting the installation in Nicaragua, however, so the work was shown at the Fundación G&T Continental in Guatemala City, in an exhibition that ran parallel to the 21st Bienal de Arte de Paiz.